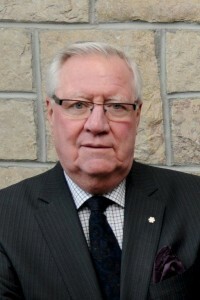 The Principal in Molloy Negotiations, Tom Molloy has been negotiating land claim settlements with First Nations and Inuit for more than 30 years. Among many accomplishments as a Chief Federal Negotiator, Tom completed the Nunavut Land Claim Agreement, the Nisga’a Final Agreement, the Inuit of Northern Quebec Offshore Agreement, and most recently the Tla’amin Final Agreement under the BC Treaty Commission process. Tom is currently the Principal Representative for Ontario in negotiations with the Six Nations. He is also working for Trans Canada Pipelines, SaskPower, and Canpotex on agreements with First Nations to further large economic developments. He successfully concluded BC Hydro’s Interior Transmission Line negotiations with the 11 St’at’imc bands and the St’at’imc Chiefs Council, and regularly provides strategic advice to investment and mining companies. "The eradication of anti-personnel mines around the world is one of the most important tasks facing the international community."